Adult Ultra Cotton T-Shirt. Designated color is red. 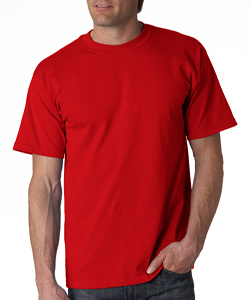 Preshrunk 100% cotton T-Shirt. 6.1oz. bottom hem and seamless collar.